→Adults Can and should skate! 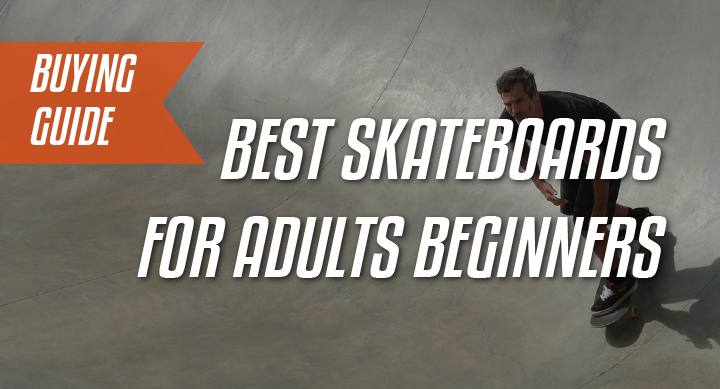 Best skateboards for adults beginners. Adults Can and should skate! 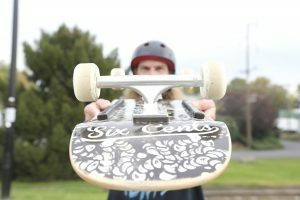 Best skateboards for adults beginners. If you’re reading this article, I already like you. You are taking steps to move out of your comfort and are trying something new. Skateboarding is for all ages, it doesn’t matter if you’re 5yrs old or 45, it doesn’t matter if you’re a boy or a girl, it’s all about self-expression. So when I say skateboard, you imagine a board with 2 trucks and 4 wheels? That’s about right, but each of the components can vary in size, weight and have different dimensions. These will affect how it should be used. Today I’ll talk about the best skateboard for adults beginners. If you are starting out you need to read this guide so you don’t go wrong and get an inappropriate board. Skateboards are typically about 30in long by 8.5in wide. They come in what is known a ‘popsicle’ shape which is two kicktails and a flat bit. The deck (standing platform) is usually made with 8plys of wood pressed into shape. They can then be cut into different sizes and shapes. The deck then has griptape laid on-top of it to prevent you from slipping when you stand on it and it helps you to do tricks. The skateboard typically has traditional kingpin (tkp) trucks which are to be about the same width as the board. These trucks are the best for doing tricks and sliding on rails and curbs. You could still use them for cruising and street ‘surfing’ if you set them upright. The skateboard has small hard wheels, 59mm in diameter and about 95a in hardness. These aren’t that great to cruise on, but the small size is good for doing tricks. Next up we have cruiser boards. These can vary in lengths of 22in to 34in and widths of 7in to 9in. There are a lot more options and you’ll be able to get a shape and color that you like.They typically come with one kicktail but can also have two. They either use tkp or reverse kingpin trucks (rkp), the rkp are great for cruising and give a really nice turn, whilst the tkp can do the same if set up right.Cruiser wheels are usually about 60mm+ in diameter, wheels this size are great at rolling over cracks and pebbles. The truck and wheel combo gives you the perfect recipe for smooth turning and rolling. They excel at maneuvering really fast in comparison to the others. Honestly, these are the easiest skateboard to learn on but they may be a bit unstable for beginners. An easy remedy is tightening the bushings and you’re good to go. Longboards are a beast on their own and there are so many sub-categories (like Downhill, dancing, freestyle, long-distance etc.) but I will generalize to keep it simple. 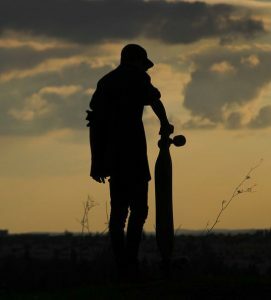 A longboard is typically 36in-40in+ in length with varying widths (some would say the right skateboard size for adults, but that doesn’t matter). They are pretty comfortable to ride and are a lot more stable … basically, imagine a bigger and wider version of the cruiser.Their big 70mm+ wheels allow them to roll over almost anything … wheels 80mm tall can probably roll over small rodents … so yeah they give a really smooth and comfortable ride. However, they are a bit hard to maneuver on. Check out these ‘very old’ skateboarders shredding on longboards, reminding us that age is just a number. Which riding style do you fancy? For skating in the park, bowls vert and mini ramps, a traditional skateboard is appropriate. The classic setup is suited to doing flip tricks, skating on smooth floors and grinding rails because of the small wheels, board and trucks. For smooth, quick turning in a small shape that is easy to carry, cruiser boards are the best fit. They have a manageable size that makes them perfect for commuting, easy to store and nimble enough to navigate between people. If you want a stable board that will be super easy to ride, a longboard does the job. The bigger and wider setup makes it more stable. There are also different longboards that are even more geared towards being stability or maneuverability etc. There is a lot to pick from. It should be noted that the more you get into a discipline, the more specialized your board can/will be. The hardest part of learning to skate is definitely picking your first board. I suggest to not over think it and simply follow our guide. After skating for a while, you’ll learn what you like and what you don’t like about your board. With your next setup, you’d be able to pick one that better suits you and what you like.